Matakauri Lodge, Queenstown: The Duke and Duchess of Cambridge’s 2014 tour included a visit to Queenstown, New Zealand’s year-round adventure resort, now rated one of the most popular holiday destinations in the world. As well as checking out local attractions like jet boating at Shotover and wine tasting at Amisfield, the couple experienced some of the region’s famous luxury accommodation, enjoying a night at the award-winning Matakauri Lodge on the banks of Lake Wakatipu. With panoramic views of the lake and the dramatic Remarkables mountain range from every suite, Matakauri Lodge is part of the Relais & Châteaux global family, priding itself on fine haute cuisine and down-to-earth New Zealand service. Huka Lodge, Lake Taupo: Topping the list is Taupo’s Huka Lodge in the central North Island – a favourite of Britain’s HM Queen Elizabeth II who has stayed at the secluded property several times. Regularly awarded for its elegant accommodation, service excellence and fine dining, Huka Lodge has no shortage of accolades, including ranked #42 in our countdown of '100 Best Hotels and Resorts in the World'. However it’s been said that Her Royal Highness is especially fond of the trout fishing here, which guests can enjoy a few steps from the lodge, situated on the banks of the Waikato River. Joining Queen Elizabeth and the Queen Mother on Huka Lodge’s guest register is a long list of princes and princesses, dukes and duchesses, lords and ladies from the United Kingdom, Netherlands, Belgium, Luxemburg, Denmark and France. Riverrun Lodge, Wanaka: Prince Harry also took time out from his full New Zealand schedule to enjoy a private, overnight visit to Riverrun Lodge, near Lake Wanaka in the picturesque Southern Lakes region. As well as being a small luxury lodge, Riverrun is also a 500-acre working sheep farm. Set on an escarpment – the remains of an ancient glacier terminal moraine – bordering New Zealand's largest river, the Clutha, Riverrun guests have access to 30 kilometres of walks and running trails. As indulgent as the views is the dining, featuring a selection of local ingredients like Cardrona merino lamb, Aoraki salmon and Blue River sheep's cheese. Wharekauhau Lodge, Wairarapa: Wharekauhau Country Estate, set on a 5000-acre working sheep station overlooking Palliser Bay north of Wellington, joined the list of New Zealand royal residences when the Duke and Duchess of Cambridge first arrived in New Zealand to embark on their 2014 tour. Wharekauhau (which means “place of knowledge”), began life as a sheep station in the 1840s, but has since been transformed into a lavish hideaway that ranked #11 in our countdown of ‘100 Best Hotels and Resorts’. As a melting pot of luxury accommodation and soft adventure, horse trekking, archery, clay bird shooting and golf is all readily available. And being on the doorstep of the boutique Martinborough wine region, fine food and wine is never far away either. Since the Queen first stepped ashore New Zealand in 1953, the country’s vast array of luxury lodges have been the accommodation of choice for visiting royals. Here we unveil the best of the best lodges, with the royal family’s stamp of approval. 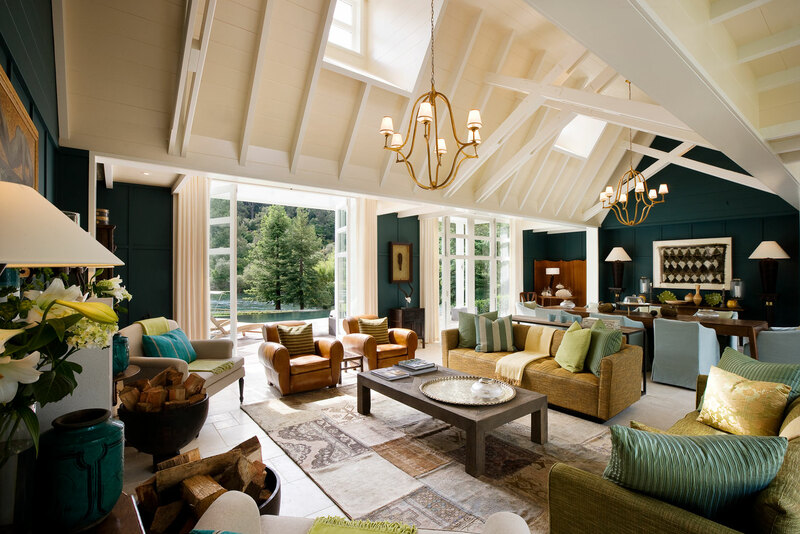 Topping the list is Taupo’s Huka Lodge in the central North Island – a favourite of Britain’s HM Queen Elizabeth II who has stayed at the secluded property several times. Regularly awarded for its elegant accommodation, service excellence and fine dining, Huka Lodge has no shortage of accolades, including ranked #42 in our countdown of ‘100 Best Hotels and Resorts in the World’. However it’s been said that Her Royal Highness is especially fond of the trout fishing here, which guests can enjoy a few steps from the lodge, situated on the banks of the Waikato River. Joining Queen Elizabeth and the Queen Mother on Huka Lodge’s guest register is a long list of princes and princesses, dukes and duchesses, lords and ladies from the United Kingdom, Netherlands, Belgium, Luxemburg, Denmark and France. Prince Henry of Wales found a home away from home at Stewart Island Lodge when he visited New Zealand’s island hideaway during a week-long tour in May 2015. The six-bedroom bed and breakfast owned by Real Journeys boasts stunning sea views and native bush surrounds, and is just a short walk from the centre of Oban, Stewart Island’s village. Prince Harry shared the view on Instagram with a photo of the sunrise from his balcony and enjoyed a close encounter with a kaka (a large, forest-dwelling native New Zealand parrot), one of many native birds that can be spotted from the lodge. 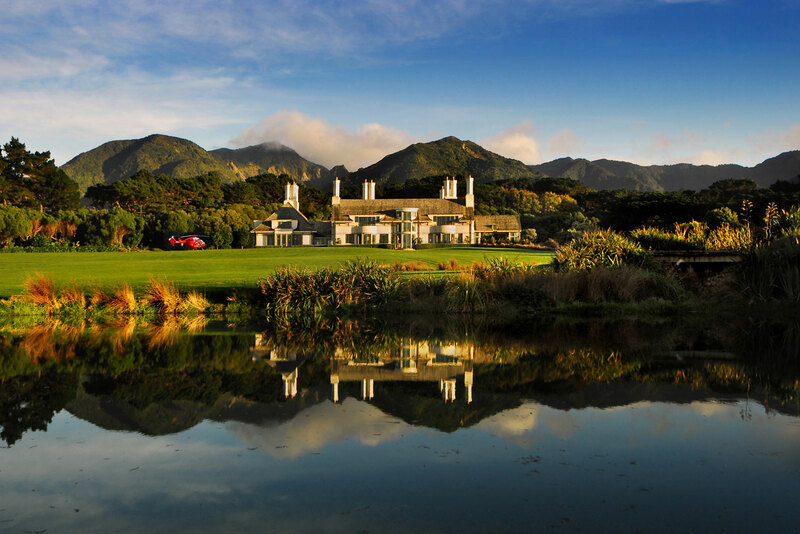 Wharekauhau Country Estate, set on a 5000-acre working sheep station overlooking Palliser Bay north of Wellington, joined the list of New Zealand royal residences when the Duke and Duchess of Cambridge first arrived in New Zealand to embark on their 2014 tour. Wharekauhau (which means “place of knowledge”), began life as a sheep station in the 1840s, but has since been transformed into a lavish hideaway that ranked #11 in our countdown of ‘100 Best Hotels and Resorts’. As a melting pot of luxury accommodation and soft adventure, horse trekking, archery, clay bird shooting and golf is all readily available. And being on the doorstep of the boutique Martinborough wine region, fine food and wine is never far away either. Prince Harry also took time out from his full New Zealand schedule to enjoy a private, overnight visit to Riverrun Lodge, near Lake Wanaka in the picturesque Southern Lakes region. As well as being a small luxury lodge, Riverrun is also a 500-acre working sheep farm. Set on an escarpment – the remains of an ancient glacier terminal moraine – bordering New Zealand’s largest river, the Clutha, Riverrun guests have access to 30 kilometres of walks and running trails. 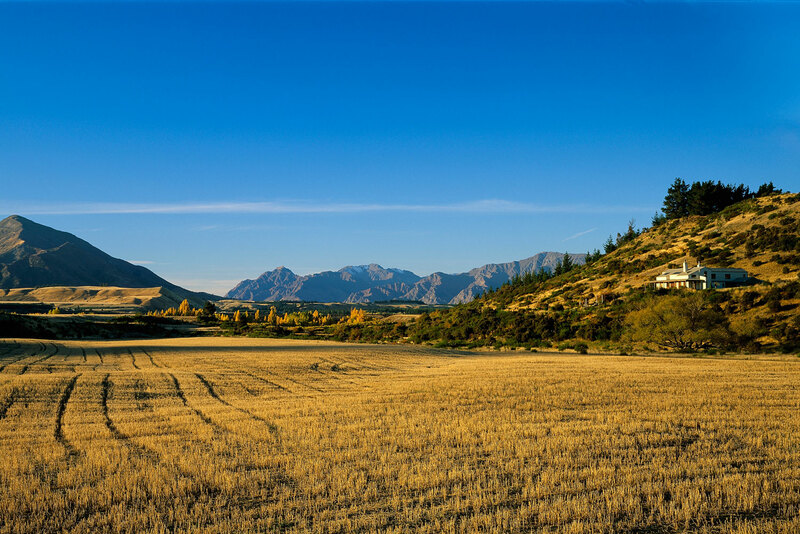 As indulgent as the views is the dining, featuring a selection of local ingredients like Cardrona merino lamb, Aoraki salmon and Blue River sheep’s cheese. The Duke and Duchess of Cambridge’s 2014 tour included a visit to Queenstown, New Zealand’s year-round adventure resort, now rated one of the most popular holiday destinations in the world. As well as checking out local attractions like jet boating at Shotover and wine tasting at Amisfield, the couple experienced some of the region’s famous luxury accommodation, enjoying a night at the award-winning Matakauri Lodge on the banks of Lake Wakatipu. 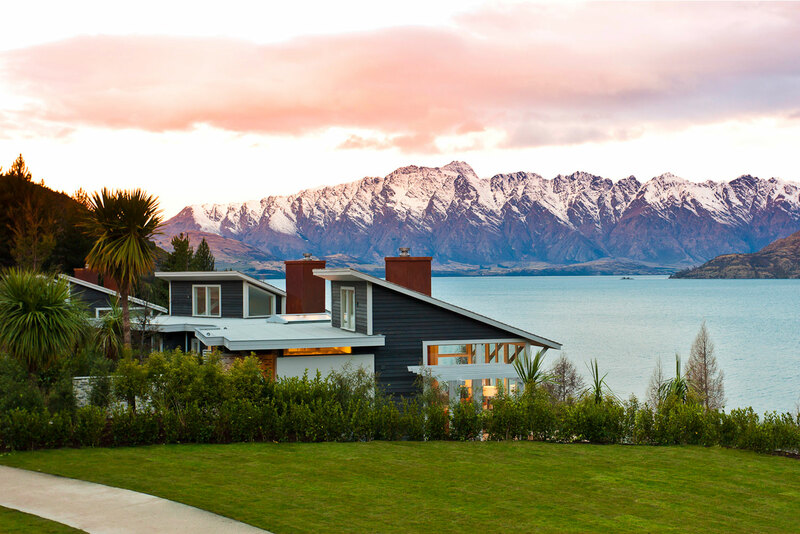 With panoramic views of the lake and the dramatic Remarkables mountain range from every suite, Matakauri Lodge is part of the Relais & Châteaux global family, priding itself on fine haute cuisine and down-to-earth New Zealand service.